What Makes a City Street Smart? Taxi and Limousine Commission’s (TLC): “Cities aren’t born smart. They become smart by understanding what is happening on their streets. 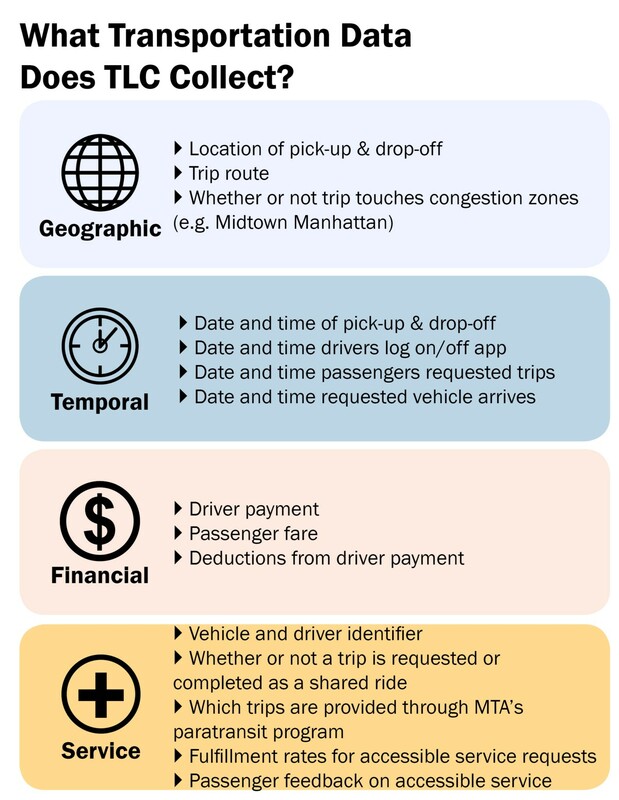 Measurement is key to management, and amid the incomparable expansion of for-hire transportation service in New York City, measuring street activity is more important than ever. Between 2015 (when app companies first began reporting data) and June 2018, trips by app services increased more than 300%, now totaling over 20 million trips each month. That’s more cars, more drivers, and more mobility. We know the true scope of this transformation today only because of the New York City Taxi and Limousine Commission’s (TLC) pioneering regulatory actions. Unlike most cities in the country, app services cannot operate in NYC unless they give the City detailed information about every trip. This is mandated by TLC rules and is not contingent on companies voluntarily “sharing” only a self-selected portion of the large amount of data they collect. Major trends in the taxi and for-hire vehicle industry are highlighted in TLC’s 2018 Factbook. What Transportation Data Does TLC Collect? Notably, Uber, Lyft, and their competitors today must give the TLC granular data about each and every trip and request for service. TLC does not receive passenger information; we require only the data necessary to understand traffic patterns, working conditions, vehicle efficiency, service availability, and other important information. One of the most important aspects of the data TLC collects is that they are stripped of identifying information and made available to the public. Through the City’s Open Data portal, TLC’s trip data help businesses distinguish new business opportunities from saturated markets, encourage competition, and help investors follow trends in both new app transportation and the traditional car service and hail taxi markets. As app companies contemplate going public, their investors have surely already bookmarked TLC’s Open Data site. With this information NYC now knows people are getting around the boroughs using app services and shared rides with greater frequency. These are the same NYC neighborhoods that traditionally were not served by yellow cabs and often have less robust public transportation options. We also know these services provide an increasing number of trips in congested areas like Manhattan and the inner rings of Brooklyn and Queens, where public transportation options are relatively plentiful…. (More)”.